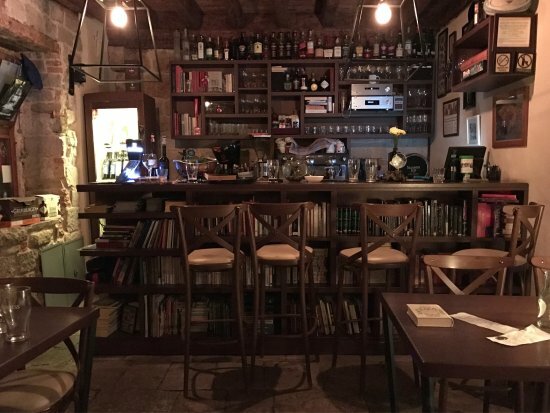 For Jazz lovers and situated in the Heart of Diocletian’s palace is a little gem of a place at Papalaciva 4, Split called Marvlvs Library Jazz Bar. Here you can relax of an evening and listen to jazz – from Traditional Jazz to Swing to Modern Jazz – its all there and in a 15th century pub, the birthplace of Marcvs Marvlvs a Renaissance Croatian writer and philosopher and widely regarded as the father of the modern Croatian language. The pub, owned and run by Tin Bojanic, an amiable Argentinian of Croatian decent, serves a great selection of beers, wines and spirits and offers the best pint of Guinness in town for the lovers of the black stuff. The place is stuffed with books from around the world – you even receive your bill in one! Don’t be surprised if the guy next to you breaks into song or the couple to the side of you start to tango – it’s that kind of place. So, if you fancy a “different” and atmospheric night out in Split and particularly if you tap your feet to Ella, Nina moves you or Louis makes your world wonderful, you’ll not be disappointed here. Our walking tour of Split ends here so join us on this, the most popular and informative evening tour of the City, and we’ll show you the way!